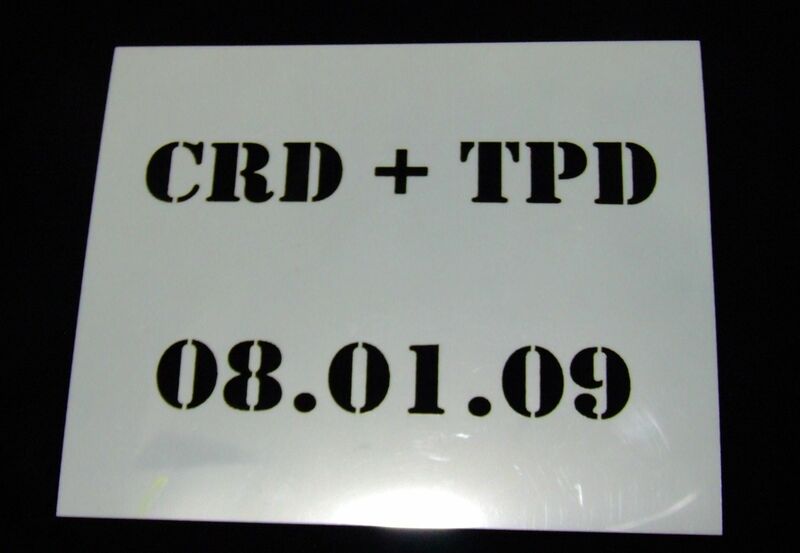 Laser cut mylar stencil using customer specifications. The stencil material used is 7.5mil mylar which is tough and reusable. The letters are laser cutout. The outside stencil border are 5"x6" in size. The longest word is 5 inches. The stencil is used for spray or sponge painting images and text on to any surface. Custom size and text available.